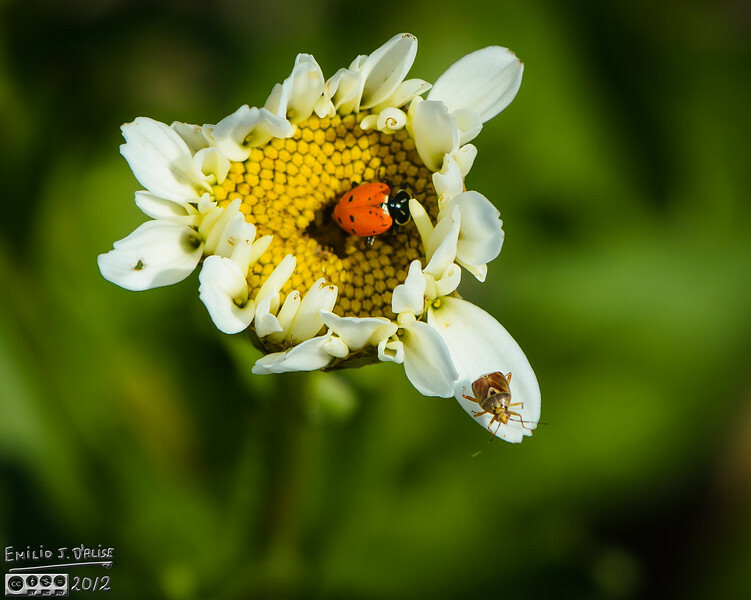 Some of my Lady Beetle photographs. But can you spot the other bug in there? I did not see it until I processed the photos. By the way, I dubbed this a Nine Spotted Specimen of Lady Beetle, but it could be the Sevenspotted. The front spots are indistinct, hence the doubt.